Your laptop is a sensitive and an expensive investment. Laptops cannot be bumped or dropped without risk of damage. Placing them in an ordinary bag can create an atmosphere that can damage the laptop. Protecting the laptop with a bag that will not only hold the laptop but all the needed accessories is a wise investment. Many things happen in our daily lives that could damage our technology including drops, spills, children, and other unforeseen events. The following laptop bags will help protect your investment for a very affordable price. The reviews discussed are for top name brands that are known for their quality and understanding of customer needs. 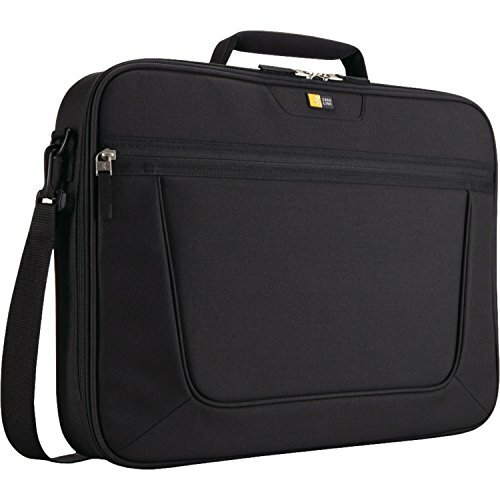 The Samsonite Classic Three Gusset Lg Toploader is a laptop case that anyone can use. Being 12 inches high and 17 inches wide, this case is sure to fit your laptop and other important accessories you may need. The Samsonite Classic Three Gusset has an easy access quick stash front pocket that will allow you to place your accessories that you need daily. This bag is also very comfortable. With padded removable adjustable shoulder straps inside the bag, you can securely carry this bag without worry of damage to your laptop or other items. If you would prefer to carry the laptop bag like a briefcase, the handles are wrapped in bale making the handles very comfortable and convenient. The Smart Pocket accessory on the bag can slide over the handles upright for easy mobility. The Samsonite Classic Three Gusset Lg Toploader is made out of 1680 Denier Ballistic Fabric making the laptop bag durable and protective of your technology. 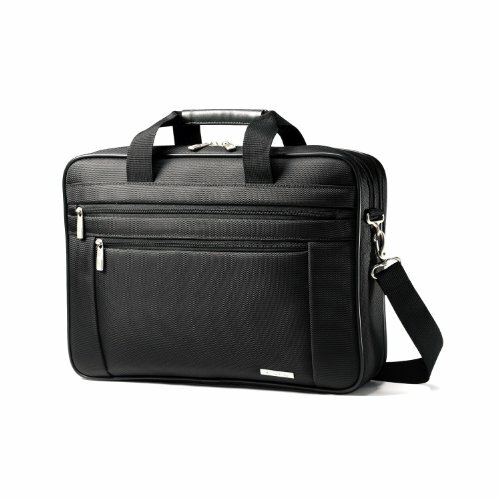 The Samsonite Classic Two Gusset 17” Toploader (Black) will secure your laptop in a stylish way. 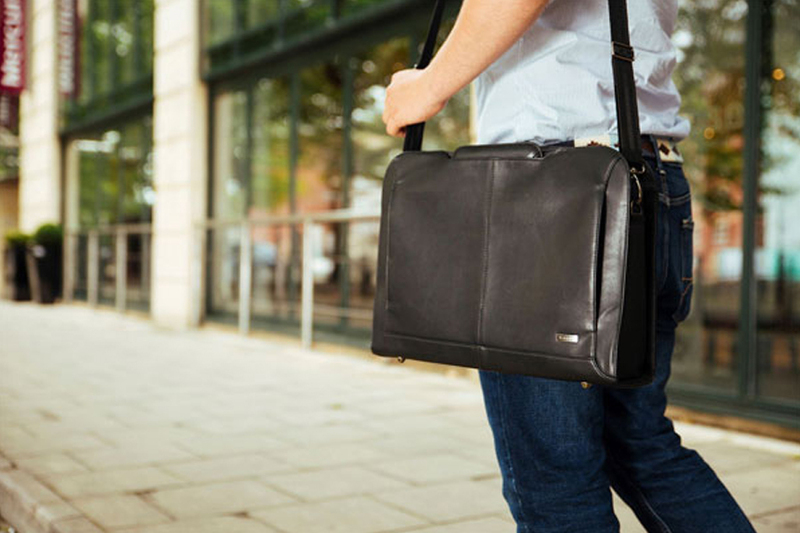 This laptop bag is 17 inches in size and will fit almost any small or large laptop you own. The laptop bag has a handle that is wrapped in bale for your ultimate comfort. There is a padded, removable adjustable shoulder strap that will allow you to securely carry the laptop bag anywhere if you do not wish to use the handle. The Samsonite Classic Two Gusset 17” Toploader has a padded laptop compartment that will keep your laptop safe from harm and will protect your laptop from shifting while traveling, which could cause damage to the laptop. There is also a handy SmartPocket that slides over upright handles for easy mobility. The laptop bag has an easy access quick stash front pocket for you to place you extra important belongings that you may need to get to quickly. 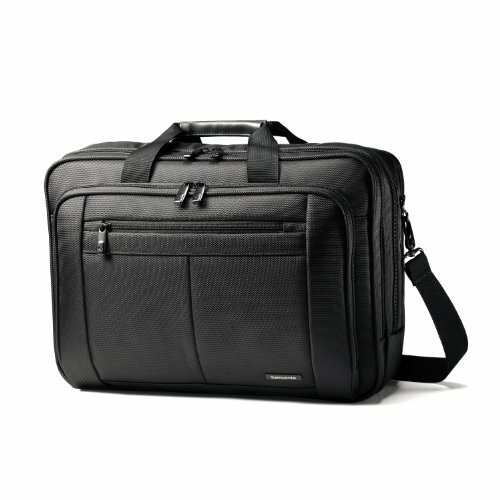 The Samsonite Classic Two Gusset 17” Toploader is crafted of rugged 1680 ballistic nylon for lasting durability. The Case Logic 17.3-Inch Laptop Case (VNCI-217) will protect your laptop from many potential hazards while you are on the go or while your laptop is stored away. This laptop bag is very affordable with high quality construction. This tailored case is compatible with laptops up to a 17.3 inch in size. The laptop bag has a padded compartment with walls that provide extra protection. There is a slip pocket that will keep your documents and papers separated from other items in the bag. The laptop bag has a front pocket panel that provides basic organization for small daily accessories. The front pocket features a wide base for bulky items like a power brick. You will always be comfortable with this laptop bag which has an adjustable strap which secures laptop inside its compartment. It comes with a neoprene-lined, padded handles, and removable strap with anti-slip shoulder pad. The clamshell design of this laptop bag will allow the case to open completely for full access to your laptop.